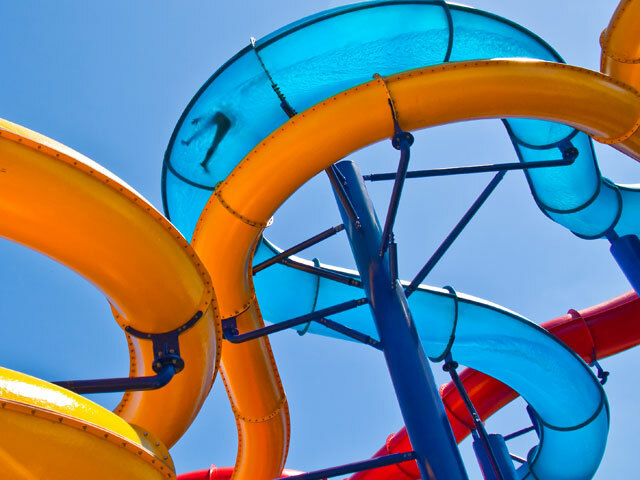 Waterslides are the main attractions at a waterpark and they come in all shapes and sizes. A range of flume systems developed over the past 40 years have supplied us with endless possibilities when designing a Waterpark or Leisure Centre. 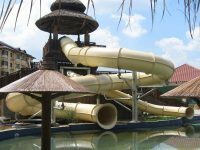 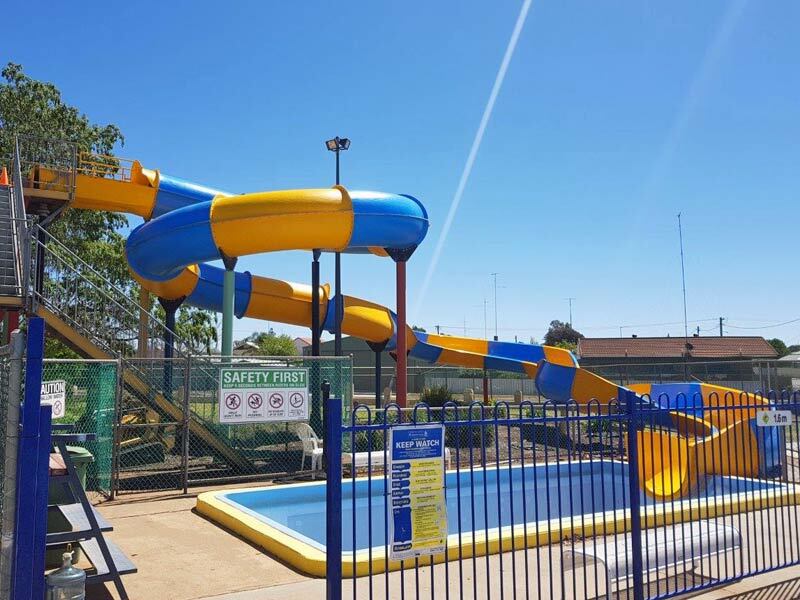 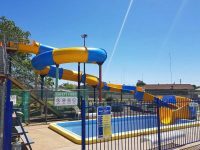 The following Open and Closed Tube slides are the standard slides that can be ridden by the whole family and they are the main stay of the water park providing fun approximately every 8-10 seconds per run. 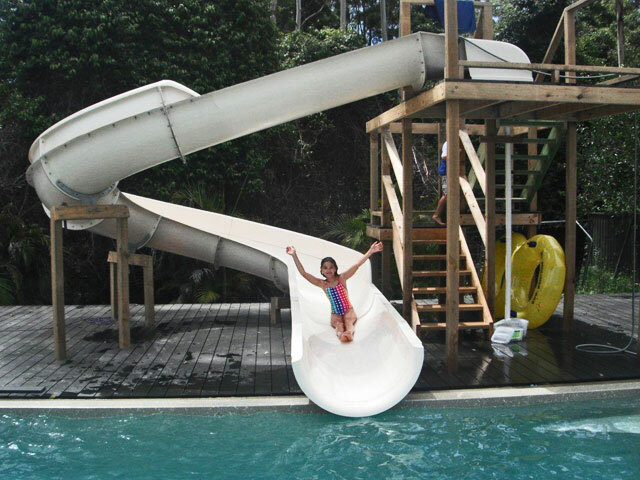 They come in open styles and tubes of different diameters. We can design them to do different things and we can put special effects in dark tubes called “Black Holes”. 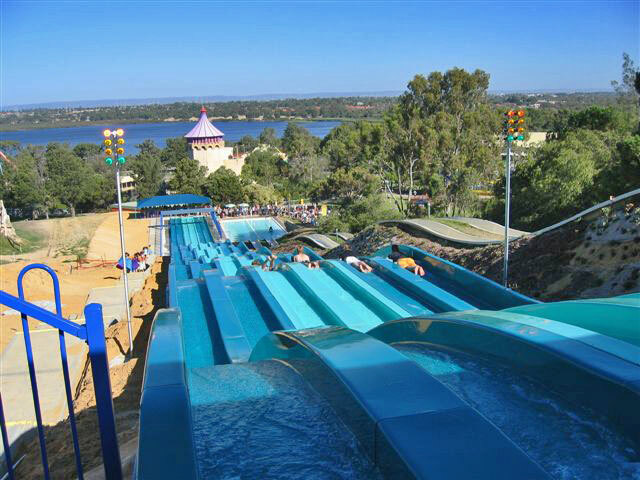 Most parks have at least 4 of these slides usually at least 100 meters long starting from a tower of about 12 meters high. 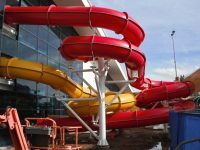 Our range of open slides, feature unique in-built 30 degree reverse banking and have proved to be the safest of their type in the world. 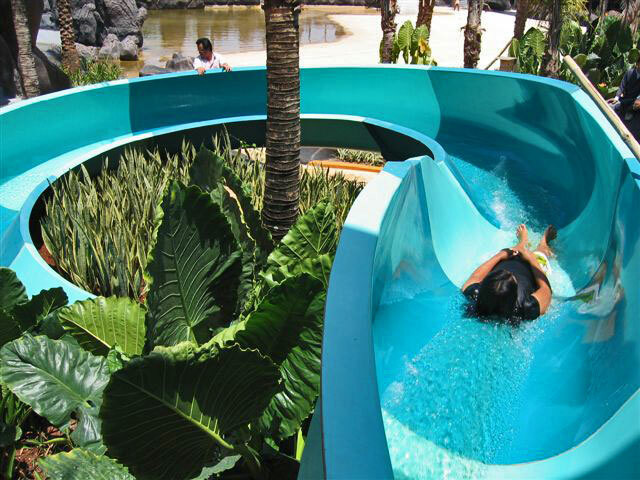 The banking causes the rider to be directed into the safest path of the ride and eliminates the need of added on pieces of fibreglass to retain both water and rider within the flume section. Featuring three different diameter sections – 800 mm, 1200 mm and 1322 mm all with different radius curves which enables each size to be designed to give completely different ride experiences for the rider. 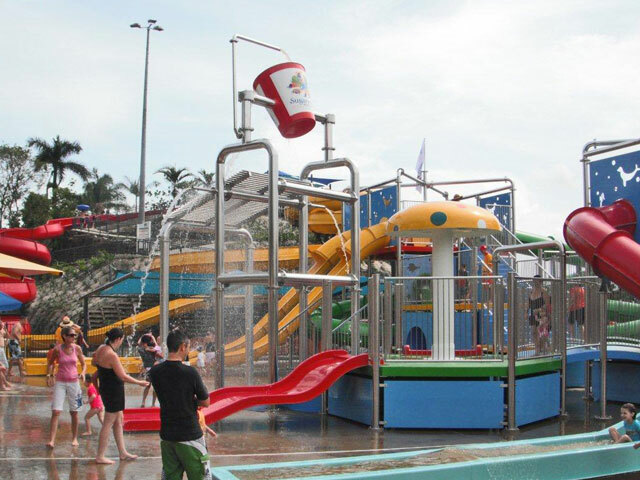 Variation of ride keeps patrons actively involved and offsets boredom due to repetition.